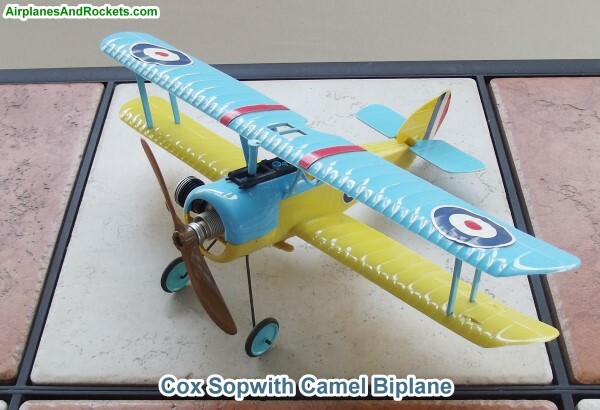 I finally hit on an eBay auction where the going price for a vintage Cox Sopwith Camel biplane was under $100. It did not come with the original box, but it appears to have never been flown nor even had the engine run. It's in perfect condition. 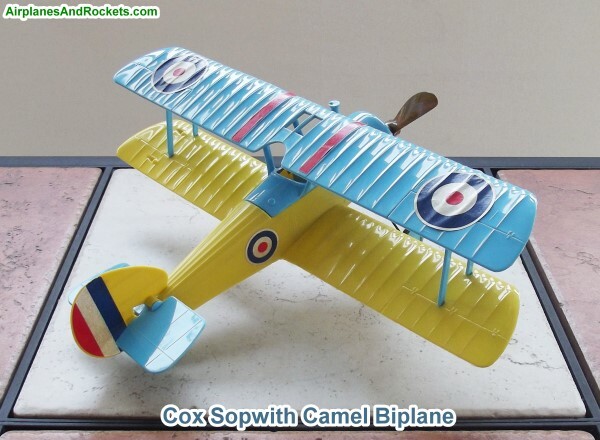 Believe it or not, the Cox Sopwith Camel is regularly selling for more than $250. It's insane. I had the 3-model WWI set as a kid, that included this Sopwith Camel, the Fokker Dr.I (DR-1) Triplane, and the Fokker D.VII (D-VII, D-7) Biplane. A NIB version of that would probably sell for close to $1,000. The Camel seems to be the most valuable of the three. I've had the two Fokkers for a couple years. Now I finally have the set of all three! Here is my Manzano Laser Work Sopwith Camel model if you are interested.